"888 is debt-free and has ample liquid resources to both fund our operations and participate in attractive opportunities for market consolidation." This is perhaps inevitable, and evidence is mounting fast that the bigger players in the marketplace will be scrambling to take up the slack as the fallout continues from the US debacle. Already there are either confirmed tie-ups or rumoured ones taking place. Just yesterday, platform providers Playtech and Tribeca Tables announced a merging of operations under the Playtech iPoker brand which will make Playtech a force in non-US poker. 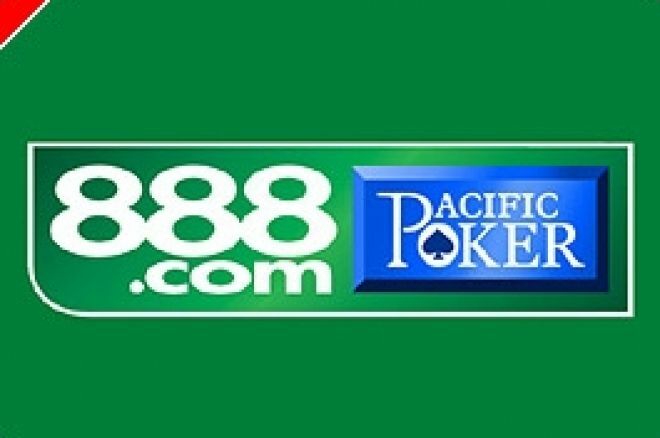 The rumours have also been rife about 888 with speculation about it being taken over or merging with the likes of Party Poker or Ladbrokes. Whatever the eventual developments are, 888 can at least demonstrate that its own operations outside the US are healthy. In the nine months leading up to 30th September 2006, 888's Net Gaming Revenue from non-US business increased by 34%, to $117,000,000, which represents an accelerated rate of growth. The number of active non-US members reached 179,439, which represents a 5% increase on the second quarter of 2006 and an 11% increase over the third quarter of 2005. The company holds (as at 10th November 2006), liquid resources – after the payment of dividends – of over $95,000,000. 888 is currently converging its product offering into a "shared platform and unified wallet". The first step has been to improve the poker product – as of November 2006 – so that it includes direct, easy access to Blackjack as a game next to all other poker games. During the recent quarter, 888 also released a new poker client (download and no download versions) with a new ghost card feature. In addition, 888 is introducing a new poker client in Spanish and a new casino site in Danish. 888 says that it is encouraged that since suspending real money services to US-based customers in October 2006, no negative impact on the non-US business has been observed in either casino or poker revenues. However, 888 also says that given the short trading period since the change, it is difficult to comment on the longer term impact of the reduced business volume. "The results released today demonstrate the resilience of our business model and are a direct result of careful implementation of our long standing strategy to diversify our product offering and geographical spread. We are pleased with these results in what is typically the slowest quarter of the year. Despite the suspension of our real money gaming operations in the US, following the enactment of the Safe Ports Act in October 2006, our business continues to be sound and exhibit healthy growth in non-US regions. "As a result of the significant change to our business environment we have embarked on a cost optimization programme across the group including a modest reduction in marketing and R&amp;D which are key to our future accelerated growth. As expected, despite this action our margins will suffer in the medium term until business volumes increase." Ed note: Download 888 Poker for the chance to play the exclusive Team PokerNews Aussie Millions Freerolls and win a $12,000 Package to Australia.